30 Mm / 40 Mm / 50 Mm / 75 Mm. All Guorun safety gratings are also available as flat blanks without folded edges. In that case, the maximum embossed field width must not be greater than 750 mm for diamond forms. For manufacturing reasons, these flat cuts have a slightly curved finish. Gratings with other dimensions (H/W/L) than those mentioned above can also be produced. 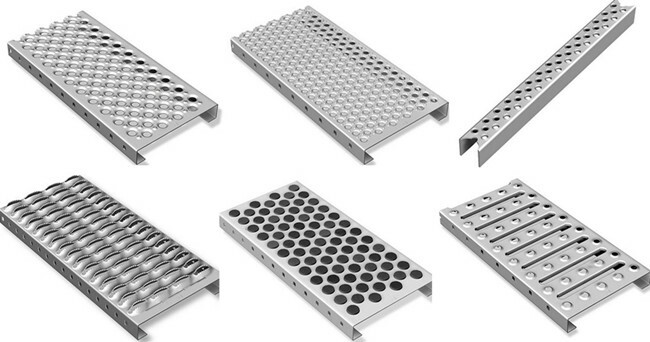 Gratings with unperforated edges or surfaces on one or both front surfaces are also available. 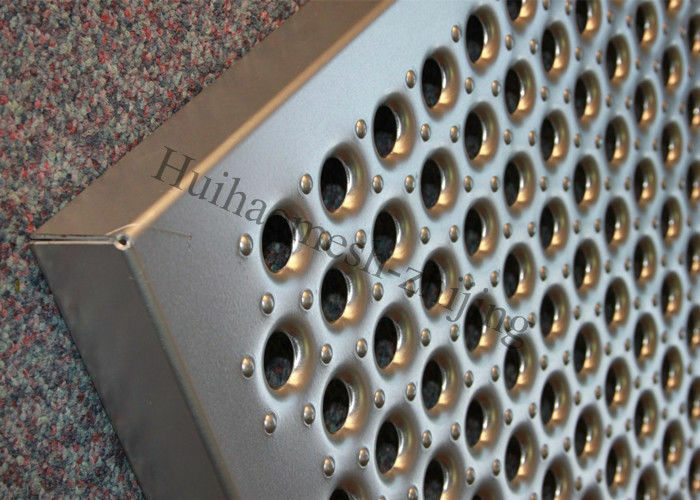 We can also be supplied with ø 5-mm drain holes. Please contact us for further technical questions. 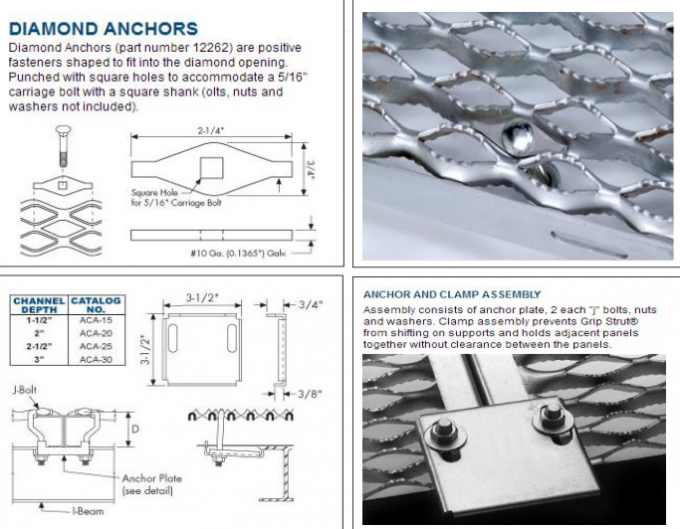 Pre-Galvanized Steel (ASTM A-924-G90): 12 Gauge or 14 Gauge. Hot Rolled Steel: 12 Gauge or 14 Gauge. Aluminum Alloy 5052H32: 0.080" Thick or .100" Thick . Stainless Steel Type 304 or Type 316: 16 Gauge. 1 Diamond 14 gauge steel 2-1/2" 1-1/8" 16", 18", 20", 24", 30", 36"
Untreated or galvanised steel: 6,000 mm. Untreated or pickled 304 or 316 stainless steel: 2,000 mm. For the full range of materials and finishes: 120 mm / 180 mm / 240 mm / 300 mm / 360 mm / 420 mm / 480 mm. For the full range of materials and finishes: 40 mm / 50 mm / 75 mm. used at sewage treatment, power, running water factory. It is also used for decoration against slipping, etc.